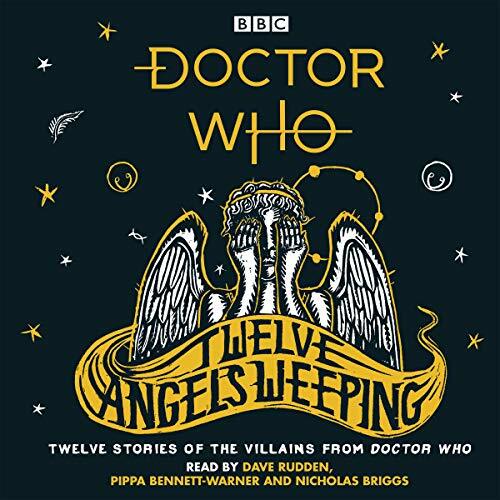 Penguin presents the audiobook edition of Twelve Angels Weeping written by Dave Rudden, and read by the author, Pippa Bennett-Warner and Nicholas Briggs. Many of the peoples of Old Earth celebrated a winter festival. A time to huddle together against the cold; a time to celebrate being halfway out of the dark. Here are 12 stories - one for each of the 12 Days of Christmas - to remind you that to come out of the darkness we need to go into it in the first place. 12 new stories, some to include the Dr, some to just mention them, ALL to hold to the spirit of them. Wonderful listen!